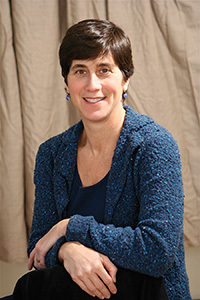 Linda F. Nathan is the first executive director of the Center for Artistry and Scholarship and has taught at the Harvard Graduate School of Education for fifteen years. Dr. Nathan served as founding headmaster of the Boston Arts Academy (BAA), Boston’s only public high school for the visual and performing arts. She also founded and directed the Center for Arts in Education, an arm of BAA that serves the outreach, professional development, and arts advocacy needs of the school. Dr. Nathan was the codirector of Fenway High School for fourteen years and founded two nonprofit organizations: El Pueblo Nuevo (arts and youth development) and the Center for Collaborative Education (school reform issues). She is also the cofounder of the Perrone-Sizer Institute for Creative Leadership and serves on numerous nonprofit boards both locally and nationally. Nathan is the author of The Hardest Questions Aren’t on the Test.